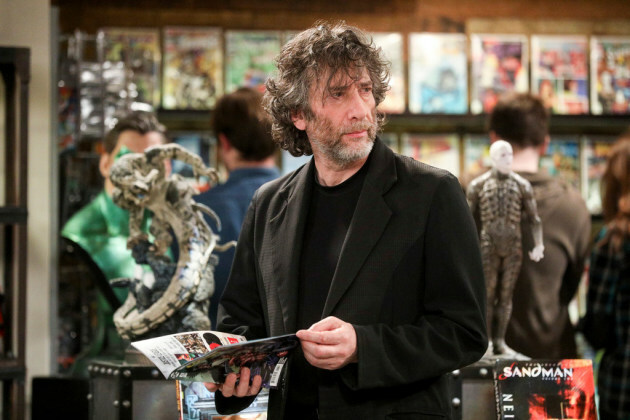 On Thursday's episode of "The Big Bang Theory," author Neil Gaiman puts Stuart's comic-book store on the map by giving it his seal of approval. It's a premise that might sound familiar to Minnesotans. Gaiman, who wrote "Stardust" and "The Sandman" in a backyard gazebo outside Menomonie, Wis., was frequenting Minneapolis' DreamHaven Books & Comics before he became famous and has sung its praises for years. "It eventually became known as the Neil Gaiman Store," said DreamHaven owner Greg Ketter. "A lot of people thought he owned it." Ketter has noticed the parallels between the upcoming episode and his operation's real-life connections to Gaiman. But he won't be asking for residuals. "Maybe if they had named Stuart after me," he said. Ketter admits he hasn't watched "Theory" in a few years, but he plans to head home early on Thursday to catch his friend in action. "I think he'll be really good," Ketter said. "Neil acts as himself very well." Gaiman hasn't been spotted in the area for a while, but he told us last year that he still considers Menomonie home.